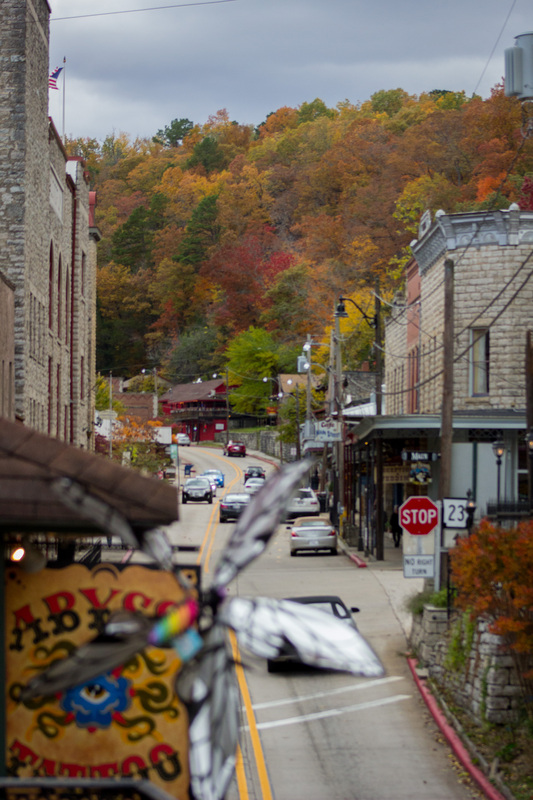 Philip and I went to Eureka Springs, Arkansas last fall. It’s a place his parents visit annually–they love it there, they had lots of recommendations, the planning was easy. We spent the first night in Little Rock. 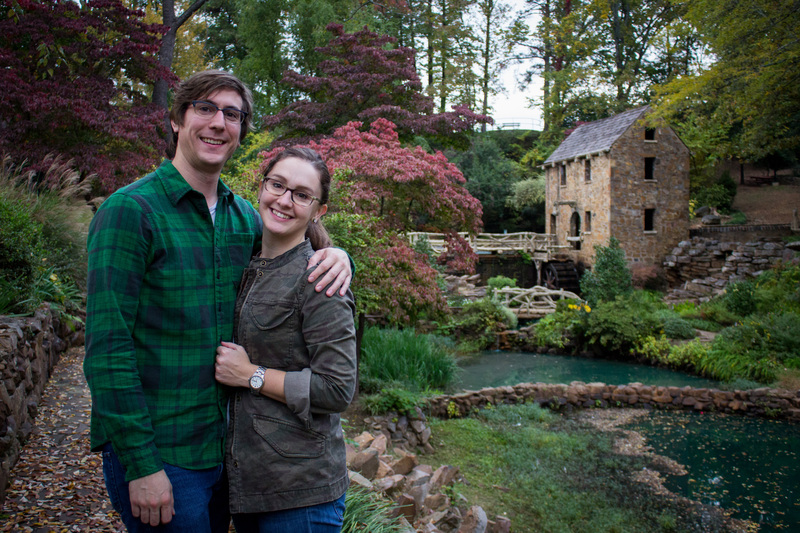 I wanted to see the Clinton Library and Philip wanted to take me to the Old Mill. The wha? Yes, the Old Mill. Philip spent some elementary school years in North Little Rock, and he knew of a beauitful spot to take pictures (important fact about Philip: he loves taking pictures WITH a tripod). We made it to Eureka Springs where we stayed at the beautiful Heart Stone Inn (if we weren’t staying here, I would have tried to sneak in for the amazing breakfast they serve daily). I don’t remember where all we ate, I don’t remember where all we shopped. The weather was lovely, we walked everywhere in the downtown area and it is HILLY. I ended up wearing my Nikes the whole time. 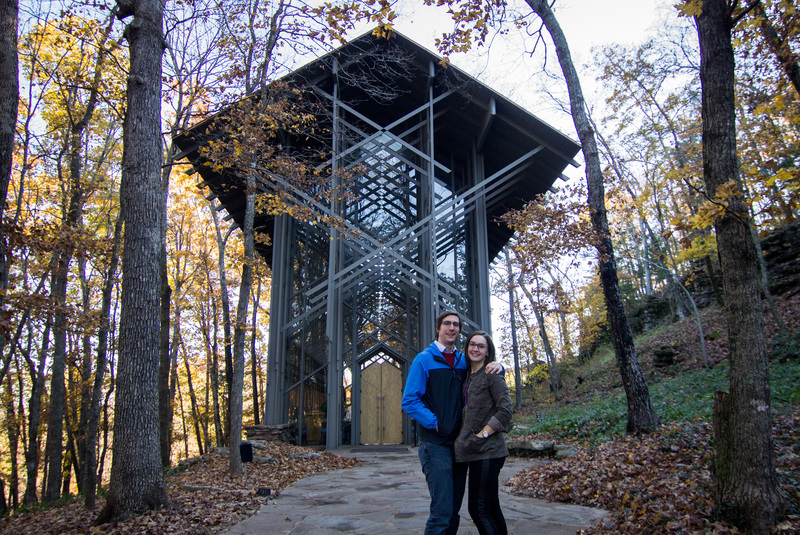 On THE day, Friday, November 1st, we toured Thorncrown Chapel–beautiful, quiet, intimate. A must-see for interior designers and architects. After that, we went to the Blue Spring Heritage Center, home of the Blue Spring that feeds into the White River. It’s basically a nice garden area with a walking trail and it’s autumn and beautiful and the weather was great. We took a break from walking and taking pictures and sat down on a bench (I made us move to another bench immediately because the first one was wet). Philip began talking to me, saying really sweet things, and I started picking at something on his sweater (I was in fine form). Then, all the sudden, Philip was down on one knee with a ring in his hand. 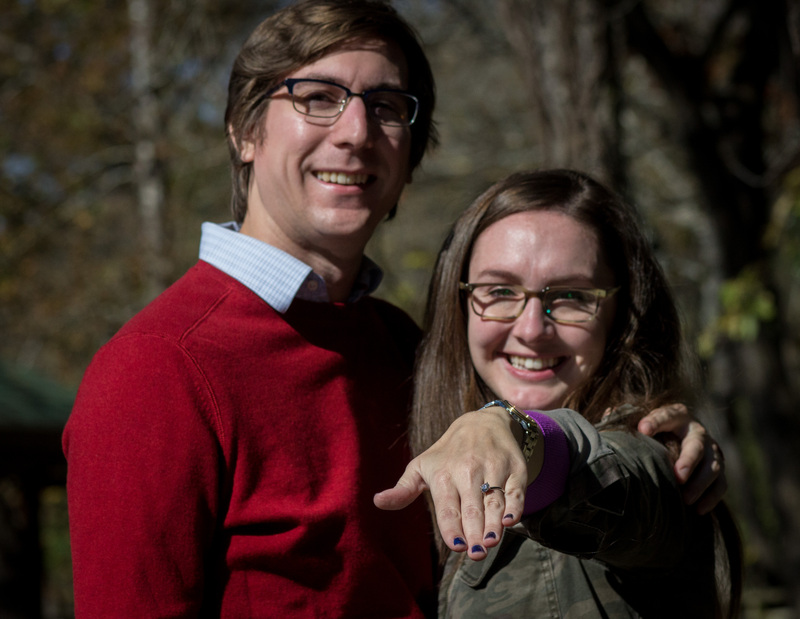 I think he officially asked me to marry him, I remember shouting “YES!” in his face. We are not professional photographers. We ended up with a better iPhone picture. We texted our family (who were all at work and on the edge of their seats waiting for the news). We headed into town for lunch, smiling like goofs, followed by rainbow cake and iced mochas. 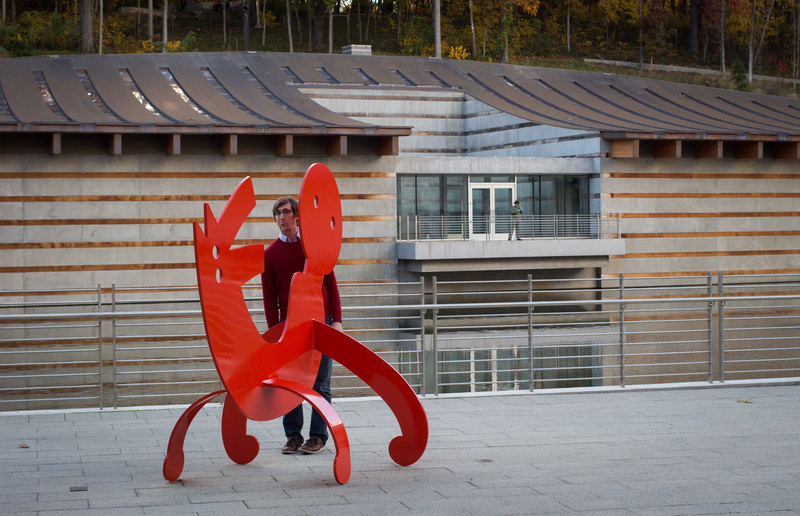 At the Crystal Bridges Museum, Philip and the sculptures become one. 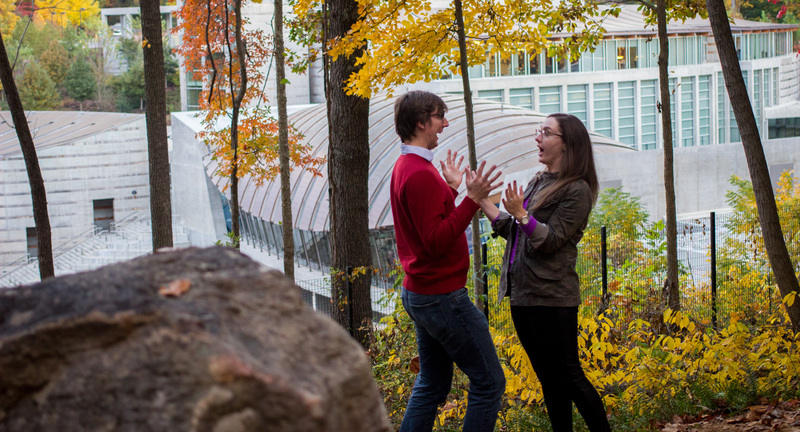 That afternoon, we went to the Crystal Bridges Museum. If you’re ever in the area, it’s worth the trip and I would recommend going on a Friday evening when they stay open late. We wish we had made reservations at the restaurant, Eleven, but we were able to have drinks and appetizers at the bar. We walked the grounds too, still in a stupor of our big life change!